The ‘comical’ trope of a driver falling asleep at the wheels has been done to death in popular media. Fortunately, a team of European scientists are developing a car-based system that might prevent accidental automobile oriented deaths in real-time. 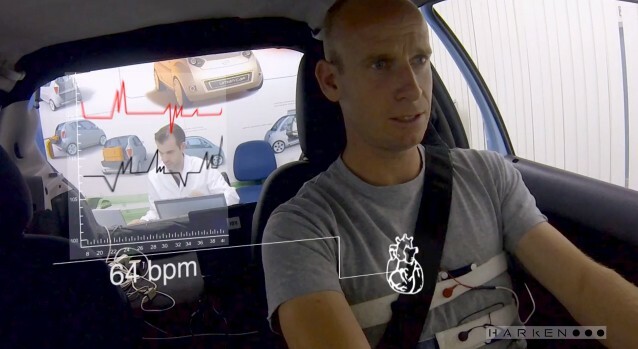 The consortium behind the incredible project has christened the technological application as HARKEN or Heart and respiration in-car embedded nonintrusive sensors. As we can make out from the last part of the lengthy designation, the system is designed as an unobtrusive component that can be embedded on to the driver’s seat. To that end, the HARKEN mainly comprises of three sub-devices – special sensors along the seat back-rest gauge our respiration credentials; sensors strapped to the seat belt monitors our heart-rate; and finally a signal processing unit (SPU) located at the bottom of the seat, compiles and appraises all the collected data. The HARKEN’s resultant efficiency is based on the analyzing power of this SPU, and as such the scientists have made the component more accurate by endowing it with noise filtration features that shield against outdoor commotions. Consequently, the biological ‘magnitude’ of our body’s fatigue conditions is precisely measured by the collective system, and if they cross a certain threshold, the HARKEN automatically alerts the driver through a built-in alarm mechanism. Lastly, as for the practical feasibility of this automobile safety project, the car-based system has been successfully tested on closed tracks. And, the good news is – the scientists are also looking forth to real-time on-road testing that might finally lead to HARKEN’s commercial debut within a few years.